Annette J. Dorzok, 51, of Campbellsport, passed away on Tuesday, March 27, 2018, in her home with her family at her side. Annette was born on July 4, 1966, in Milwaukee, the daughter of Paul and Cheryl (Vreeland) Jeske. She was baptised at Wellington Park Lutheran Church in Milwaukee then moved to Jackson at age 8. Annette was confirmed at Christ Lutheran Church in Jackson. Annette attended West Bend Schools and was involved in Girl Scouts. She graduated High School in 1984 and attended UW Washington County for two years after for early childhood development. On July 14, 1990, she was united in marriage to Ronnie Dorzok. Annette was a volunteer, manager, and coordinator for All The Above Dance Academy in West Bend. She was loved and cherished by all the families and children at the dance studio. Annette enjoyed many four-wheeler trips, crafts, sewing and making baby blankets for families and friends. She took care of Courtney’s meltdowns through college and will be deeply missed by her and her family. Annette never had enough time to see her grandchildren grow up but loved them dearly. Codey’s fiancé, Allison, has become close to Annette and her family during the short time she knew her and we welcome her as another daughter. Those Annette leaves behind to cherish her memory include her husband, Ron; three children, Danny (Kelcey) Dorzok of Stevens Point, Codey (fiancé, Allison Speck) Dorzok of Campbellsport, and Courtney Dorzok of Campbellsport; a granddaughter, Anya Dorzok; two brothers, Paul Jr. (Sandy) Jeske of Kewaskum and Jim (Angie) Jeske of Jackson; her mother, Cheryl Jeske; dear friends, Beth and Bill Rusher, and other friends from All The Above; other relatives and friends. Annette was preceded in death by her father, Paul “Mike” Jeske; her grandparents, Wilma (Robert) Vreeland and Paul (Edna) Jeske, and her aunt, Bonnie Vreeland. Annette’s family will greet relatives and friends at the Myrhum Patten Miller and Kietzer Funeral Home, 1315 W. Washington Street, in West Bend on Friday, March 30, 2018, from 4:00 p.m. until 7:00 p.m. 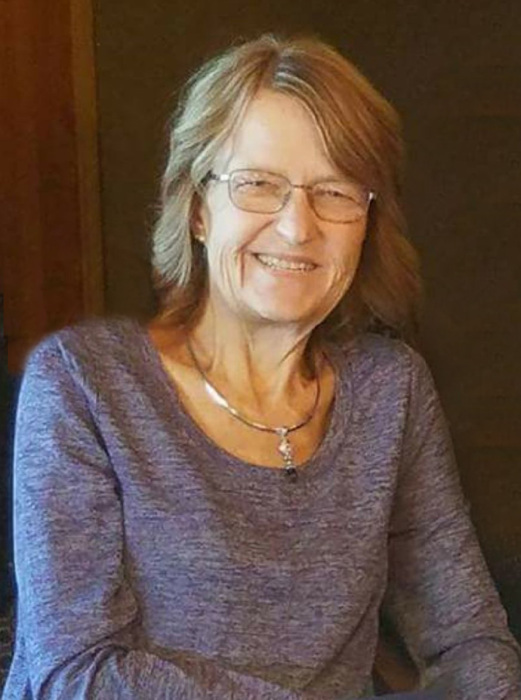 They will greet friends again at St. Lucas Evangelical Lutheran Church in Kewaskum on Saturday from 10:00 a.m. until the services at 11:00 a.m.
Funeral services for Annette will be held at 11:00 a.m. on Saturday, March 31, 2018 at the St. Lucas Evangelical Lutheran Church, 1417 Parkview Drive, in Kewaskum. Rev. Timothy Henning will officiate and burial will follow at Lutheran Memorial Park in Kewaskum. The Myrhum Patten Miller and Kietzer Funeral Homes have been entrusted with Annette’s arrangements. Additional information and guest book may be found at www.myrhum-patten.com.